Making a name for yourself is what it's all about. If you don't stand out, you'll have a tough time positioning your practice to attract quality clients. That's where client appreciation events come in. I have always said that doing what you love while building your business is the fun way to accomplish your goals. If you love what you do, financial success will follow. Do you love Golf? 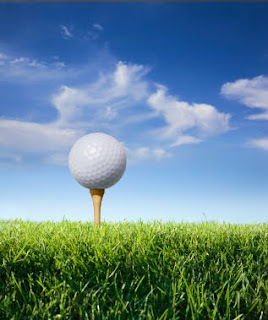 Having a golf event to show client appreciation is an example of doing what you love to build your practice. Part of building deeper relationships with clients is getting away from the business environment and really connecting on a deeper level. Golf events can be anything from eight players on a golf outing to a tournament with lessons from a golf pro. It all depends on your budget and how many clients you want to invite. Last month, one of my clients organized a golfing event for his clients. He invited ten A clients and asked each of them to bring one guest. He divided the group into great players, average players, and "needs help" players. Each group met with his local golf pro and practiced a few corrections and new techniques. After the lessons, the group played the course. Afterwards, they all had lunch. My client reported that he has two interested prospects from the group, but more than that, he and his clients had a great time getting to know one another outside the business environment. His total cost for hosting this event was less than $1,000.00. If hosting a wine event is more your style, read Marketing With Wine Events or read the entire post about Client Appreciation Events.